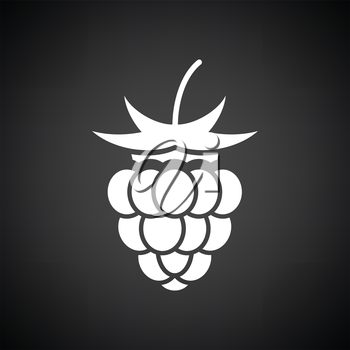 Raspberry icon. Black background with white. Vector illustration.